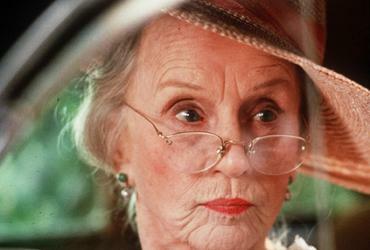 Driving Miss Daisy (my Aunt) isn't always pleasant. She's stubborn and selfish, ornery and opinionated, just like Jessica Tandy's character in the 1989 movie by the same name. Driving her to doctor appointments and to Wal-Mart for her monthly shopping tries my patience every time. I temper my conversation after Morgan Freeman's character by keeping my mouth shut and agreeing with a "Yes Ma'am" and "Mm mm hmmm." (Grab a glass of some sweet tea and join me for the rest of the story at Encouragement Cafe or Crosswalk. Feel free to share your own stories in the comments below or on the website. I'd love to hear from you).